Had a nice session today. 5.0 sail with shoulder high wave. Post a video from yesterday. New wetsuits is fitting good which is NPM Darby send me. 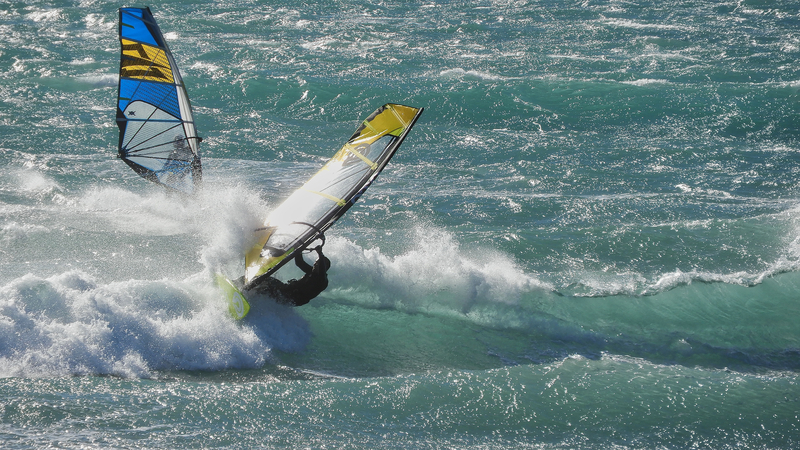 I had nice windsurfing session today! Condition was side off shore wind 4.5 to 4.0. Shoulder to waist high wave. I feel long time to ride side off shore condition since I was in Maui. I made some video. I will post soon. I tried lot of different angle. Oh no my head is getting balding(￣□￣;)!! Well I took 7.0 then I made couple of run. Today one guy got an accident. Base tendon was snap the half during windsurfing! Extra bad thing is very fast current here. Current is took him away so quick. Literally disappeared! (￣□￣;)!! Finally he rescue by a boat. Well that happen realize me, should check often small parts of gear.